The emerging buzz word in the world of data is value. By 2025, the total value of the data economy is set to rise to over US$400 billion and today, we’re already seeing tech giants and emerging tech platforms boom in value largely due to the data they have. That, in turn, enables them to bring value to every touch point – whether it’s their customers, advertisers, or to other companies that they could potentially partner with. Before we delve into that topic of discussion, let’s take a step back and ask ourselves – What does value actually mean? In the above context, the natural assumption is the monetary worth of data. But in this chase for monetary value, we seem to be forgetting other long-cherished things that we value – privacy and wellness. Privacy is notably one of the areas where organisations holding the data have been intensively scrutinised. To be clear, data privacy is always critical, valued by everyone, and even more so with increasing volumes of information stored in today’s information age. The ability to correlate data sets in order to isolate and identify people is not a storyline to the next Mission Impossible movie – it’s very real. The public has every right to stand up for and challenge how privacy is managed. When we trust companies with our data, we trust that they will safeguard it. In fact, the slew of data-related controversies that arose last year, such as the Strava heatmap that exposed military locations, had consumers questioning the management of privacy and how it can be enhanced. Given measures in place such as Europe’s General Data Privacy Regulation (GDPR), Singapore’s Personal Data Protection Act (PDPA) and the upcoming ASEAN Digital Data Governance Framework (expected to be fully developed in 2019), there is an urgency for companies to demonstrate how they will safeguard their consumers’ data. In tension with privacy protection is the pursuit of wellness. We are seeing an unprecedented amount of health-related data. In 2013, it was estimated that this had reached over four zettabytes (10²¹), which will increase to yottabyte (10²⁴) proportions by 2020 and beyond. With the number of chronic diseases on the rise, the value that we generate from understanding this data becomes even more crucial. It’s alarming to note that we are seeing 60% of the chronic disease burden coming from emerging markets. With aging populations across the world requiring more and more care, healthcare costs as a percentage of GDP will increase. While we’re seeing the move towards data-driven medical solutions which are focused on collaborative, preventative care to predict and even prevent diseases, we are still not there. Medical research continues much in the traditional way, with specific trials and analysis of specific data sets. 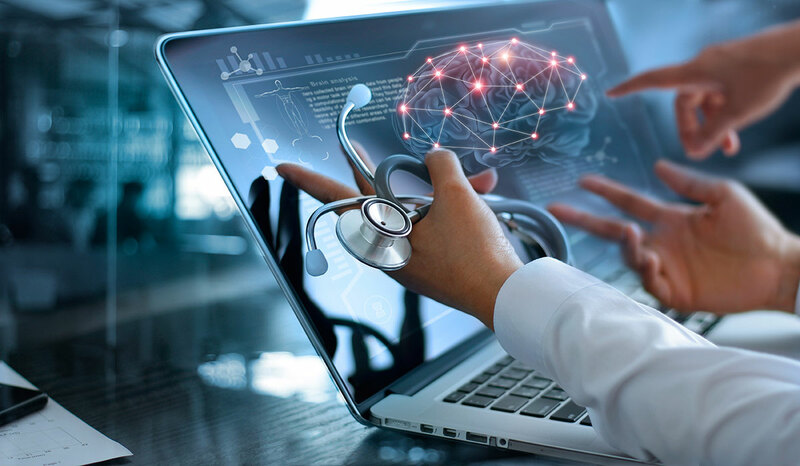 Technological solutions like artificial intelligence (AI) have vast potential to find new treatments and potentially even cures for some ailments. Researchers globally sit on masses of health data that could be used for a multitude of purposes, but due to privacy constraints, this potential remains largely untapped. Right now, these two elements that we value – privacy and wellness – are in tension, but why does it have to be? Well, simply put, companies are terrified of sharing data. They are just as concerned as the public is around data breaches, regulatory penalties and reputational damage. In recent industry dialogue sessions, we have found that the biggest road block to leveraging data is regulatory and legal concerns. Let’s be clear though – these concerns are valid, as not many people are happy for their medical data to be shared. That said, we can’t downplay the importance of wellness. But if we acknowledge that health data is inherently vital to improving healthcare, we must ensure that the data can be shared while still protecting users’ privacy. Controversial as it may be, we need to relook at whether data sharing is really that detrimental, but first, we should address how best to protect one’s privacy. Privacy and security is critical and should be maintained, but locking things down in the traditional way, like stuffing money under the mattress, is a fallacy. For example, banks are implicitly more secure places to store your money; however, going back in time, this was not always the case. Similarly, where we store data and how we manage privacy is critical. We need to look closely at this versus the naïve hope that our trusty mattress is safe. What we need is a healthy debate around what safeguards need to be put in place, and what the vision would be; for example, if our vision is that health data can be used to drive wellbeing, the next step would then be to discuss the “how”. It is worth reflecting on the results of PwC’s 22nd “Global CEO Survey”, which highlights an interesting point. Figure 1 shows how companies globally have not moved forward in managing their data as an asset. We see that 10 years ago, business leaders already knew data was critical to business, and this rings even truer today. Data has massive potential, but there is still a lack of capability to tap on that potential. This divide, or perhaps opportunity, illustrates how much more needs to be done. We need to see that more and more, our data has immense value, and we need to manage it in a way that in turn, creates value. In enabling innovation, we need more sandboxes where security and privacy requirements can be safely tested. It is simply not good enough to say “trust me” – negative impact through public perception of getting this wrong is too high. We need better frameworks to define what trust is, and how we build trust around data. We are seeing promising advances in blockchain to enable the tracking of data sharing, as a means of knowing who has what, therefore enabling accountability and trust. This could be the next step forward. Importantly, we also need to consider how the data subject (that is, the person whose data is being used to create value) is remunerated or incentivised. This is recently getting more attention and could be critical in the future, with significant value driven by data without much transfer of benefit to the subjects. In the future, data subjects, you and me, are likely to have more control over our data, and ultimately pick who can use it based on incentives. Singapore, with its small size, can easily climb up to be a leader in the space. The country’s technology architecture is world-class, regulatory bodies keep up with advancements, and government agencies such as the Info-communications Media Development Authority (IMDA) are championing efforts around data sharing. If organisations strive harder to strengthen data privacy while concurrently harness data to drive wellness, Singapore could be the first country where the two can exist in harmony. Mark Jansen is Data & Analytics Leader, PwC Singapore.